St. Patrick’s Day is always a fun holiday for children! Leprechauns, rainbows, and pots of gold are a gentle reminder that spring if right around the corner. 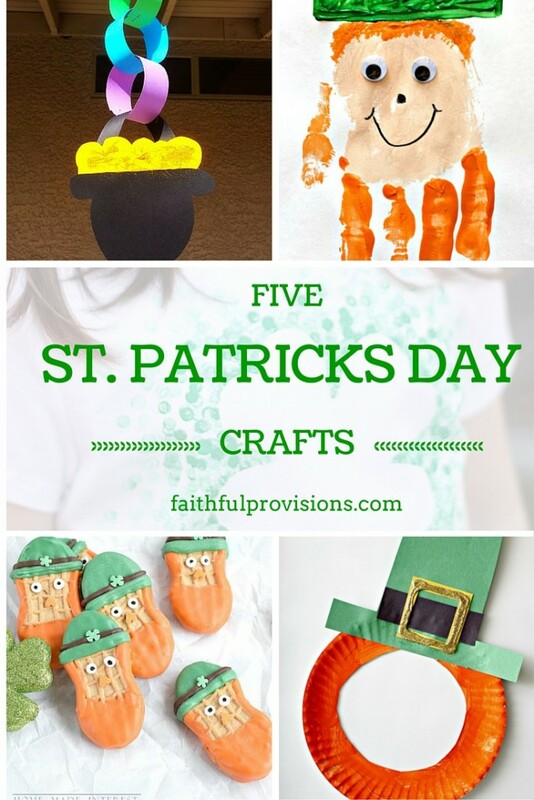 Here are 5 cute craft ideas your little leprechauns will love! 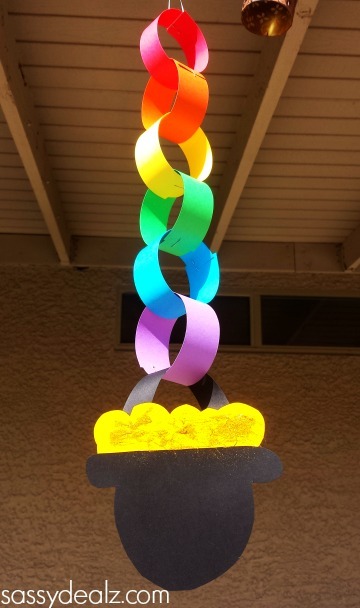 Plan to make a rainbow pot o’ gold rainbow chain link! Complete details here. Get out the glue, scissors, paints and some glitter! 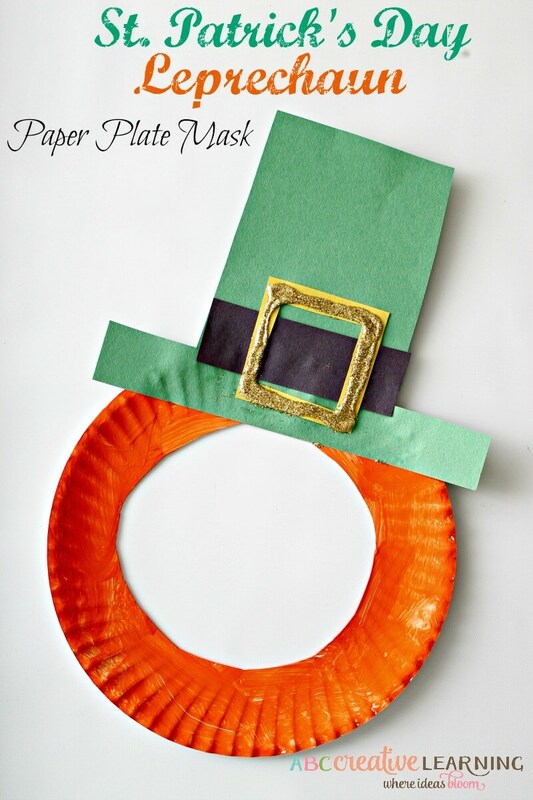 Here come the St. Patrick’s Day Leprechaun Paper Plate Masks! What a fun idea! St. Patrick’s Day Leprechaun Paper Plate Masks. Let your little leprechauns get their hands messy with this super colorful St Patrick’s Day craft idea! What a great handprint keepsake idea!! 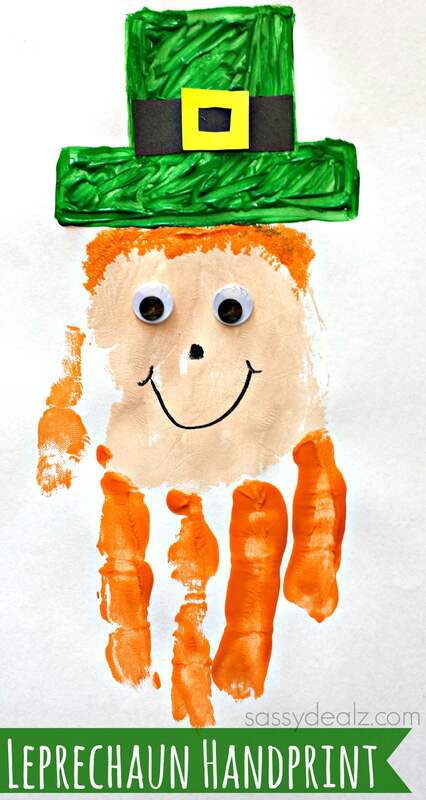 Leprechaun handprint craft directions. 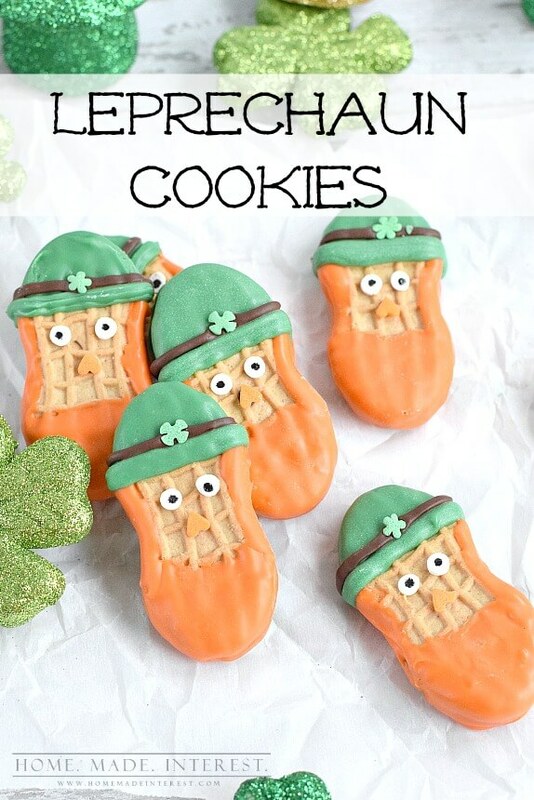 Here’s a crafty St. Patrick’s Day treat – they can eat! St Patrick’s Day Leprechaun Cookies. Every leprechaun needs a shamrock shirt! What a great idea and super simple too! 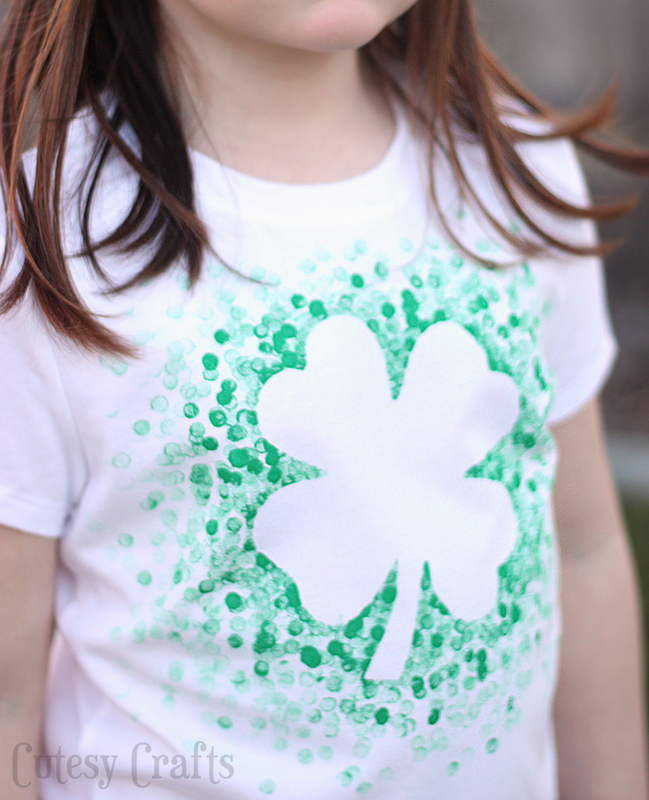 Eraser-stamped DIY St. Patrick’s Day Shamrock Tee Shirt!